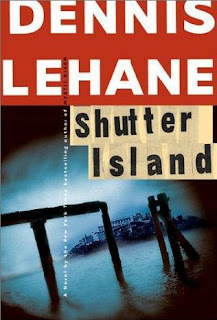 Shutter Island purchases are clearly credited to the Martin Scorsese-directed film version of the book, released early this year and starring Leonardo Di Caprio. The NYT writer, Shelly Freierman, went on to say that "Many of the top 25 books feature the adventures of popular detectives." She also mentioned Elizabeth George's This Body of Death, available this week and the 15th to feature Scotland Yard Detective Inspector Thomas Lynley. For writers who wonder whether to invest in a series, or strike new ground with stand-alones, this list suggests that the market strongly favors series titles, when the detectives appeal to readers. I'm reminded of those happy years of working through one "Nancy Drew" book after another, savoring the mix of familiarity and new twists of plot. I'd like to hear from some of you: Do you purchase (or borrow) your mysteries more often from established writers with existing series? How often do you look for a new character or country or tension? And how do you decide when and how to explore authors who are new to you? Ya Gotta Be Tough in Vermont's Spring! Authors Plead for Brad Meltzer to Stop Writing!